Summer is nearly over but many churches are still in the throes of Vacation Bible School. VBS is a great way to introduce children to all that the Bible has to offer while giving parents a break and introducing your church to the community– a win-win situation all around! It’s also a good way to get children comfortable with participating in church services and tp introduce them to the sanctuary in an informal and friendly way. For churches that send children to Sunday school classes while parents enjoy services, it can be a big and frightening move for children to stay in the sanctuary instead of going to classes. VBS is a great way to get children acclimated to the sanctuary and give it a welcoming and familiar feel for when the time comes that they will move to the sanctuary for worship. Educating children on the different parts of the church sanctuary and the names for the different parts can help children feel more comfortable. It’s often easier for children to feel at home when they’ve been introduced to their surroundings and know the names of different aspects of the world around them. To teach children the different names of things in your sanctuary, you can gather all the children together in your church pews and make a game of it. 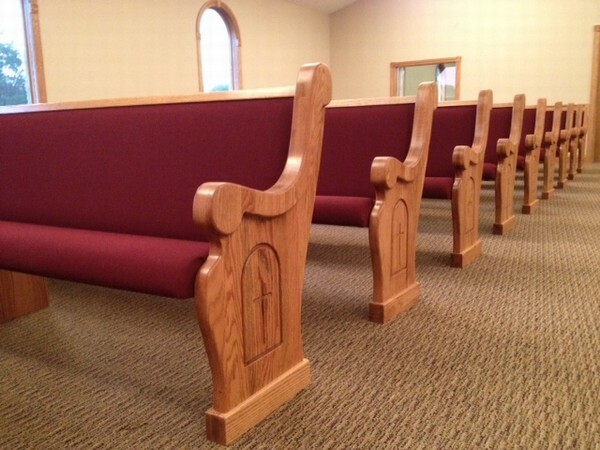 First, tell children the different names and purposes of the different features of your church, like the church pews, kneelers, pulpit, and communion table. Next, hand out pieces of paper with the names of different parts of the church to your VBS children and ask them if they can place the sign on the object. It’s a great way to practice reading too. You can also make a mini-worship service in a style that’s similar to your church’s worship service and hold it at the end of the day for children and their parents to participate in. Children can help design the worship service and choose passages and hymns to sing and lead the service for their parents, which can help them feel even more at home in a new place.